Senate Democrats Honor the Legacy of the Rev. 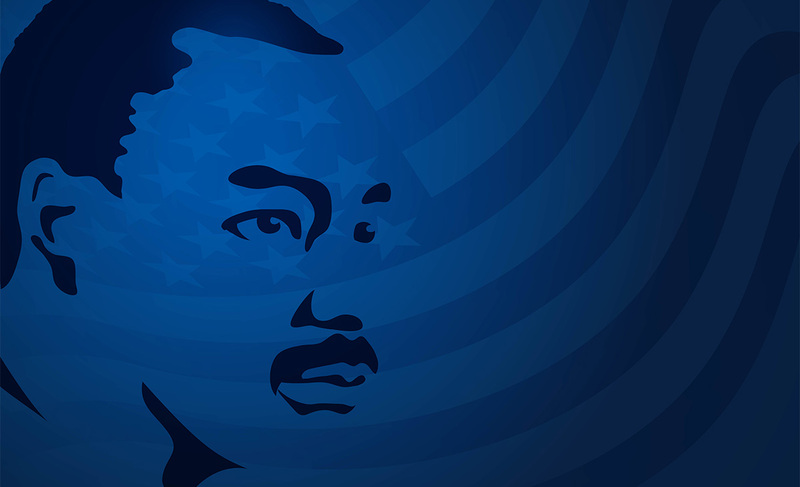 Dr. Martin Luther King Jr.
Come Prepared: What you need to bring! 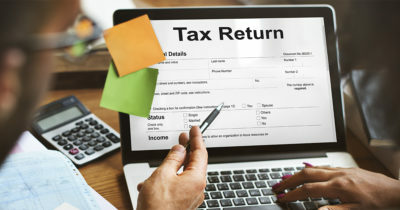 For a quick and easy tax filing bring the following documents for you, your spouse, and anyone you are claiming as dependent. If you’re a high school student thinking about going to college, time is running out! Senator Hughes has put together an all-star group of organizations and resources with the goal of helping you finance your college education. All you need to do is show up! 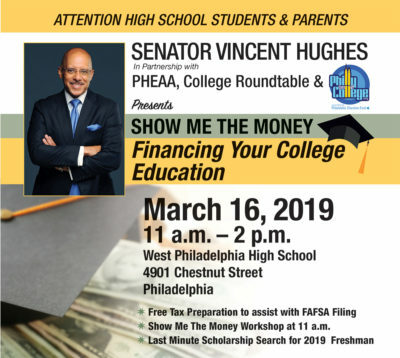 Senator Vincent Hughes in partnership with PHEAA, College Roundtable & Philly Goes 2 College present Show Me the Money, Financing Your College Education. 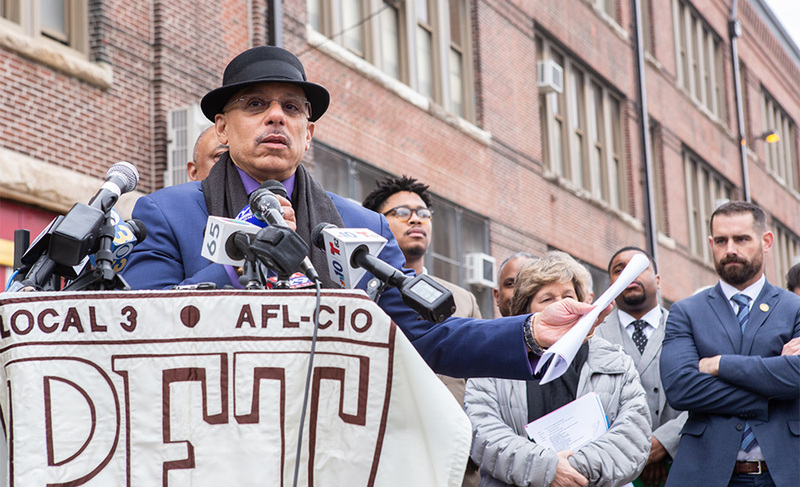 The event will be held on March 16th from 11 a.m. - 2 p.m. at the West Philadelphia High School. Spring Clean your Financial House! 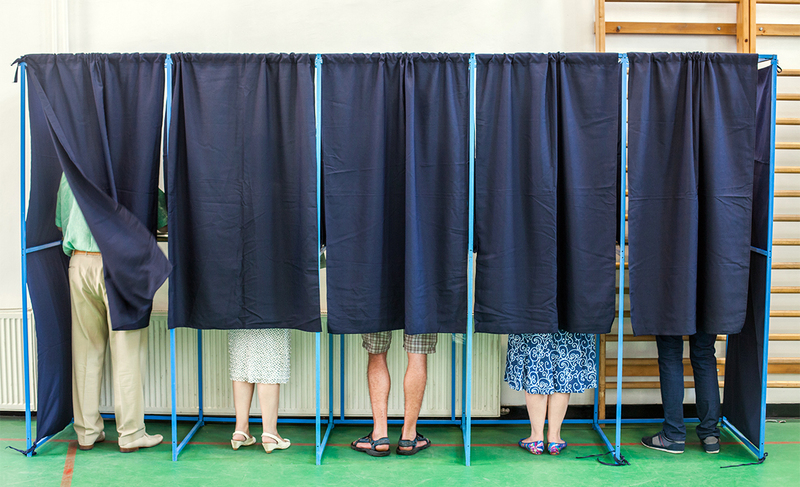 Senator Hughes invites you to his Spring Series Workshops! 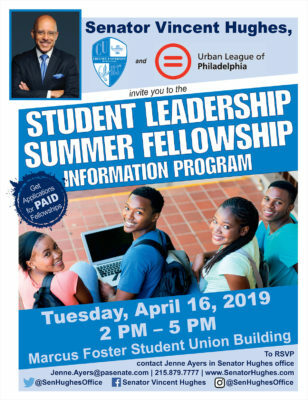 The first workshop will be held on April 1st from 5:30 pm -7:30 pm at the Wynnefield Library located at 5325 Overbrook Avenue in Philadelphia. 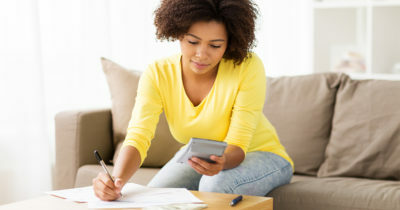 Get empowered to take charge of your financial well-being! Identify spending habits, broaden money management skills, and create new tools to help stay on track and manage your financial future. April 4, 2019 is the 51st anniversary of the assassination of the Rev. 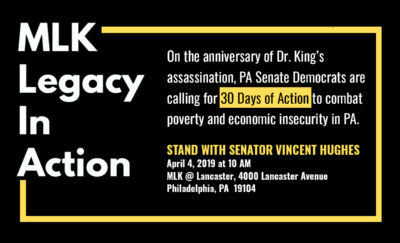 Dr. Martin Luther King, Jr. - to mark this occasion, Senator Hughes is one of four members of the Pennsylvania Senate Democratic Caucus hosting events across the state to honor King's legacy. 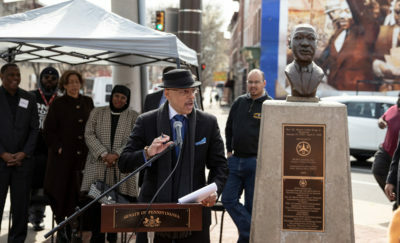 King was killed in Memphis, Tennessee where he had traveled to stand with sanitation workers, as he launched his Poor People's Campaign across the U.S. Senator Hughes invites you to his Spring Series Workshops! 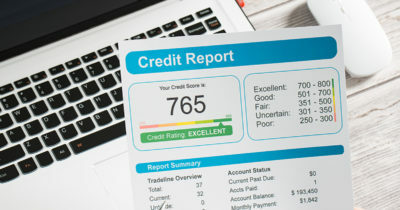 Understanding your Credit Report, Debt Collections and Consumer Rights Workshop will be held on April 8th from 5:30 pm -7:30 pm at the Wynnefield Library located at 5325 Overbrook Avenue in Philadelphia. 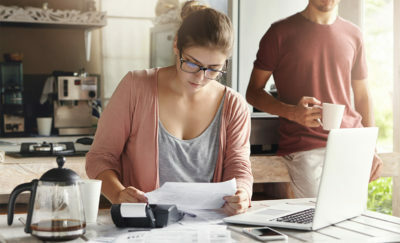 Learn the importance of using credit responsibly, the factors that lenders use to determine your creditworthiness and how to read and understand your credit report. Senator Hughes invites you to his Spring Series Workshops! The Budgeting & Banking like a Boss workshop will be held on April 15th from 5:30 pm -7:30 pm at the Wynnefield Library located at 5325 Overbrook Avenue in Philadelphia. Answer ‘where does my money go?’ as you start budgeting – timing and amount of your income, adding savings, paying bills on-time, and creating an allowance to cap spending. Start your newborn’s college savings fund with $100 — for free! One of the most troubling challenges facing many students and families across Pennsylvania is the high cost of education. This is often such a high hurdle that many students simply forgo a college education and are prevented from acquiring the skills necessary to gain better positions with higher wages. 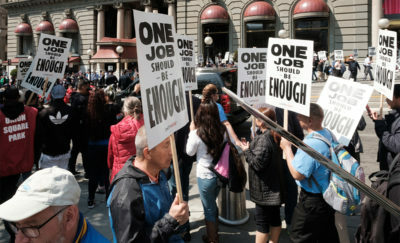 The education gap caused by a lack of access to college or advanced education is, for many low-and-middle income students, the one faction preventing them from gaining traction in the workplace. 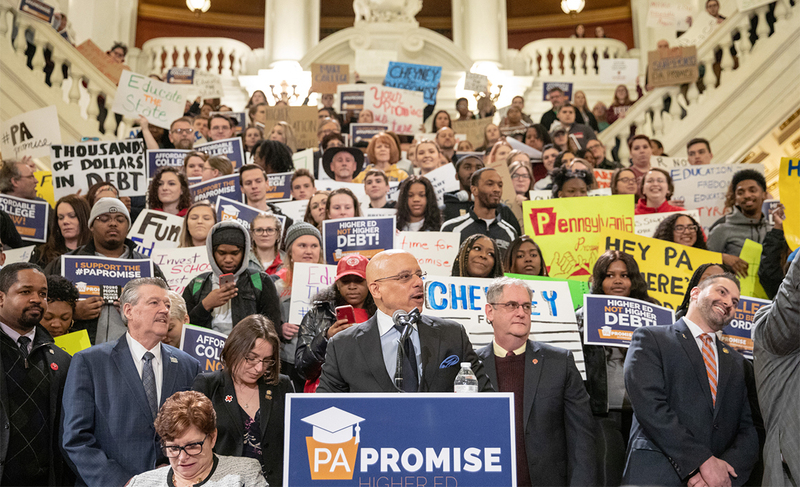 In our increasingly complex and high-tech economy, it is essential that we make, then fulfill, the promise to Pennsylvania students: YOU will have access to a high-quality education without the burdens of crippling debt. That’s what the Pennsylvania Promise is all about. 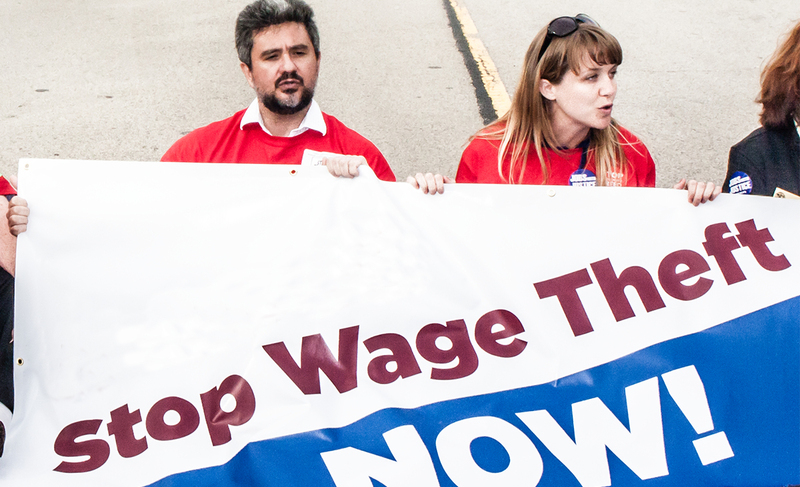 The Pennsylvania Promise is available to students with family incomes of $110,000 or less. 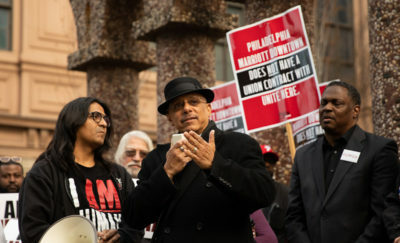 It provides for grants of at least $1,000 per year for community college students for two years and a minimum of $2,500 per year for four years to Pennsylvania State System of Higher Education Schools and state related institutions. The program also provides $50 million for adults in families whose incomes are less than $110,000 to acquire up to four years of postsecondary credit.